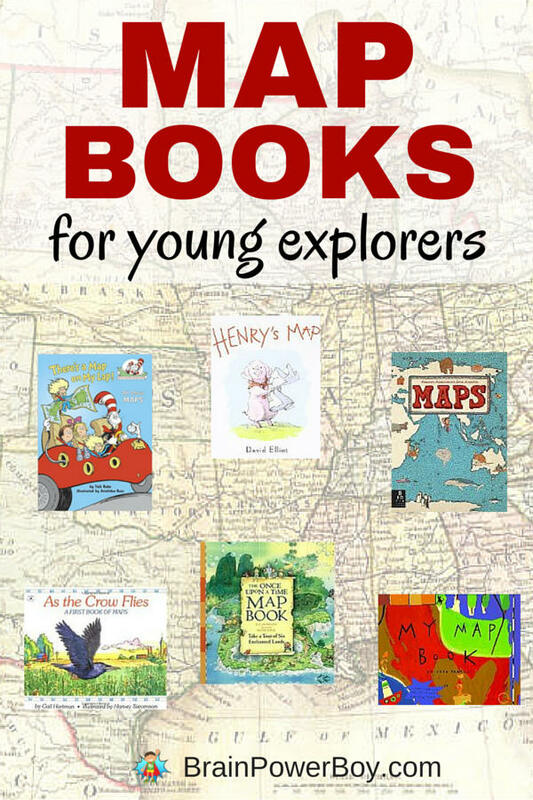 I’ve rounded up a nice selection of map books for young explorers. Young kids seem to really love maps. They like you to point to where they live on a big map. They enjoy looking at the legends and finding things on maps, and overall, they seem to really be taken with what maps are all about. You can enhance that curiosity and help them learn a bit about maps by grabbing a few map books and some of our best books for boys lists to follow a child’s interests. Let’s start off with a book from the Cat in the Hat series of books. These are fun (though not written by Dr. Suess himself and the rhyming can leave a bit to be desired) for kids to look at. You get The Cat in the Hat and plenty of good info in an entertaining package. This one is called There’s a Map on My Lap and covers the different types of maps as well as the tools used with them. Henry’s Map is an adorable book to share with those who are just learning about maps. Henry is a pig and he feels the farm is a mess! He uses maps to solve his problem. I was drawn to the bold illustrations of this picture book. My Map Book is a little bit funny too so I think kids will enjoy it. There happens to be a dragon, a flying carpet, mention of a knight and more which means it has boy-appeal as well. Maps help get us where we want to go. As the Crow Flies has an unusual take on maps. It is all about animals and their maps. I found it to be an interesting look at maps. You don’t want to miss the simply titled Maps. It is by Alexsandra Mizielinska and the illustrations are worth the price of admission (so to speak.) They call it a visual feast. I agree. A personal favorite, The Once Upon a Time Map Book, is a delight. The illustrations are wonderful, the content is awesome and the book is one fantasy fans shouldn’t miss. You will visit Neverland, Wonderland, Oz, Aladdin’s kingdom, Snow White’s forest, and the Giant’s realm. Highly Recommended. These are the best map books for young explorers I could find. You and your kids will enjoy them, I am sure. We loved My Map Book. Our other favorite is Follow That Map – great book for early map skills!